A student entrepreneur in the UK has launched a robot lawyer, which he claims has human-like emotions, to help people challenge unfair fines. 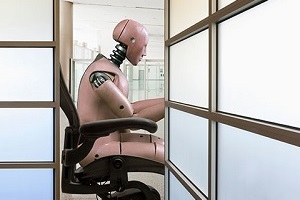 The free robot lawyer can even make claims on behalf of consumers, generating a legal letter based on information from a series of questions and selecting a basis for appeal, including missing details on the ticket and arguing that the vehicle had diplomatic immunity. Joshua Browder is the brains behind the website donotpay.co.uk which helps people challenge parking fines. But, after being swamped with queries, he set up the automated legal advice system, The Telegraph reported. “As the site gained popularity, it became harder to respond in detail to thousands of these emails a month,” Browder said. “I felt bad, because I knew that these drivers would be forced to go to exploitative law firms to get their issues resolved. “I realised that the best way to help people would be to create a computer program that could talk to users, generate appeals and answer questions like a human. The DoNotPay Robot is used like an instant message service and is used like a text message conversation, Browder said. “Instead of talking to a human, users are actually talking to a robot with human emotions powered by artificial intelligence. Browder said the robot is improving its ‘people skills’ as it continues to talk with people.